We all have different definitions of beauty; especially depending on the amount of alcohol consumed, one thing that everyone agrees on is that a confident smile is always attractive. Some say Ireland is backwards, particularly when it comes to the style stakes, to be fair there’s something in it, unfortunately many Irish people have brown teeth and white skin instead of the other way round. Anybody can have a “bad hair” day, a “fat” day, or a “I got dressed in the dark this morning” day but when your teeth are well looked after that’s it, you always have a winning smile. As a dating expert I always tell people to be the best version of yourself, investing in your teeth is an investment in yourself. It’s no big secret that most people enjoy a trip to the dentist as much as getting up on a Monday morning but good dental hygiene is essential. Most of the events I’ve attended lately are teeming with models and end up look like a convention for Colgate reps. 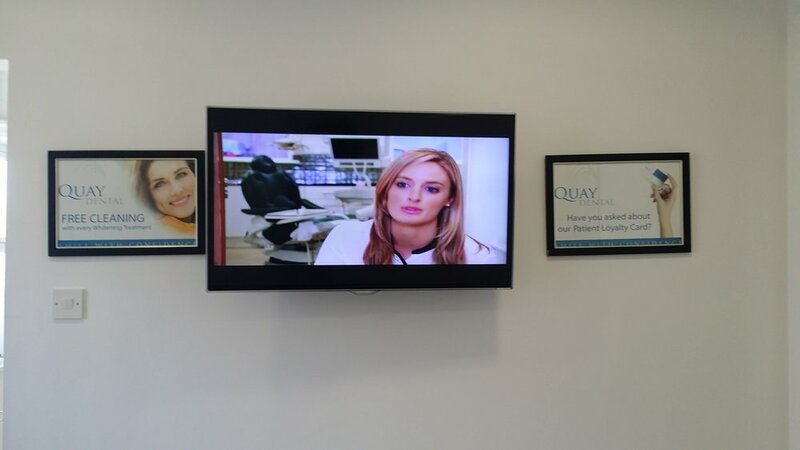 I thought it might be an idea to investigate teeth whitening in Galway, after extensive research I decided that Quay Dental in Woodquay would have the honour of treating what some call the biggest mouth in the West. The practice itself is very modern and comfortable but it’s the friendly welcome that immediately puts you at ease. For me this is as important as the technical ability of the staff themselves but hand on heart I felt so relaxed throughout my visit. My dentist (a ringer for Vogue Williams) explained the exactly what the procedure would entail and after a brief examination of my choppers set to work. She put a cheek retractor in my mouth and then gave me a pair of protective goggles to wear. A gingival barrier was placed between the teeth and gums to protect them from bleaching. Next teeth whitening gel is applied to the surface of the teeth and the laser is placed over the mouth and switched on for the first of three ten minute cycles. The laser helps to accelerate the whitening process by breaking down the whitening gels and opening the tiny tubules on the surface of the teeth. The thirty minutes under the light isn’t that bad as its broken up and you are constantly being checked on to make sure you’re comfortable. The difference is noticeable immediately which is fantastic. Your teeth may be sensitive after the procedure, thankfully mine were pretty ok but you are advised to be carefully for the next forty eight hours in particular. I was given a list of things to avoid for the following two days, coffee and tea, red sauces, red wine and coloured lip stick, basically I couldn’t go on a date for the weekend, trust me it was worth it.